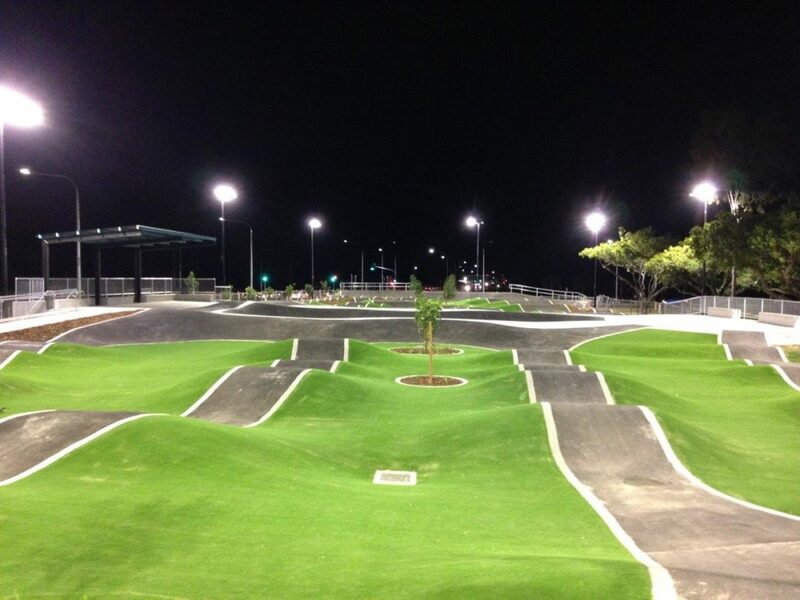 One of the largest tracks of its kind in Australia, the BMX facility is located adjacent to the skate plaza and Emily Seebohm Aquatic Centre providing an extensive destination recreational precinct. The new BMX facility will cater for a diverse range of riders, ranging from young children and beginners to professional riders. It will include a track and freestyle jumps, for recreational riding. GM Poles Supplied tapered steel poles and headframes to support Advanced OSQ High Output LED Area floodlights. Poles were designed and fabricated locally in our Carole Park factory.